Gold moved higher in early trading hours on Friday as UK parliamentary elections threatened Prime Minister Theresa May’s political power ahead of Brexit talks with Brussels this month. On the Comex division of the New York Mercantile Exchange, gold for June delivery was trading at $1277.50 a troy ounce as of 05:05 GMT. The yellow metal notched down by the end of the previous session, following former FBI director James Comey’s testimony before the Senate Intelligence Committee about his investigation into potential links between the Trump presidential campaign and the Russian government. During the audience, Comey said the president asked him for “loyalty” to his administration and to halt the investigation into then-National Security Adviser Michael Flynn. He also assured that there were no evidences to investigate Trump. “...we did not have a counterintelligence file case open on then-President-elect Trump, his concern was that because we're looking at the potential coordination between the campaign and Russia,” said Comey while adding that, in his opinion, the alleged Russian meddling on the 2016 elections haven’t altered the results of the vote. In economic news, the Labor Department reported a decline of initial jobless claims by ten thousand to 245,000 in the week ended June 2. Analysts had expected a 15,000 decrease. In Europe, the European Central Bank lowered its inflation expectations for the upcoming two years, and affirmed that no talk concerning reducing the QE program has taken place. ECB President Mario Draghi said interest rates are expected to remain low for quite some time. Oil prices were lower in Asian trade on Friday, with the UK parliamentary elections leaving a weaker Conservative Party ahead of Brexit negotiations with the European Union. The US West Texas Intermediate oil futures traded at $45.63 a barrel, down 0.02 percent from its prior close, following a 5 percent loss. The international Brent crude oil futures fell 0.02 percent to trade at $47.85 a barrel as of 05:05 GMT. Crude benchmarks settled in red territory on Thursday, extending losses from the previous session and touching a one-month low at $45.22 over concerns of increasing global output levels. Prices felt following the latest inventory report of the Energy Information Administration. On Wednesday, the agency reported a 3.3 million barrels build for the week ended June 2, against expectations for a 3.5 million barrels decline. Data also showed a 3.324 million barrels build in gasoline supplies, which took investors by surprise as they expected a smaller growth. Figures didn’t match with those reported by the American Petroleum Institute a day earlier. Investors are now worried that US shale oil production would continue to expand this year, pushing prices even lower. 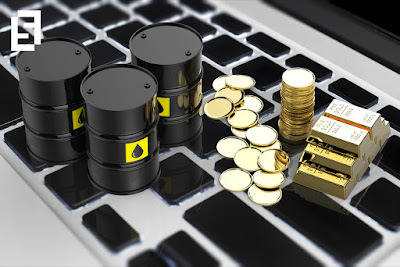 Analysts are looking at 2016 levels between $42 and $44 per barrel. Last month, the Organization of Petroleum Exporting Countries and independent producers led by Russia agreed to extend production cuts of 1.8 million barrels per day until March 2018. This decision was widely anticipated by market players and oil prices felt after it was officially announced that reduction levels will remain unchanged from the first deal. Today, investors are looking ahead of Baker Hughes oil rig count at 17:00 GMT.